This is the first thing you will see once you cross the Theo Baars Bridge as you arrive on Perdido Key. 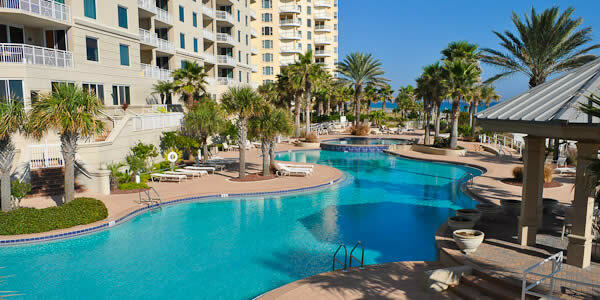 This beautiful pool and deck area at the Indigo condominiums that are overlooking the Florida Gulf and Perdido key beach. 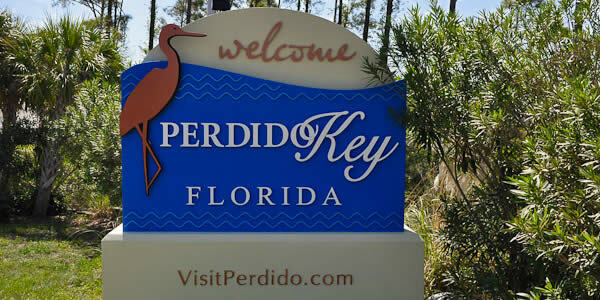 Perdido Key is home of the Lost Key Golf Course and golf community homes. The Purple Parrot swimming pool here on Perdido Key captures the tropical feel of island living. 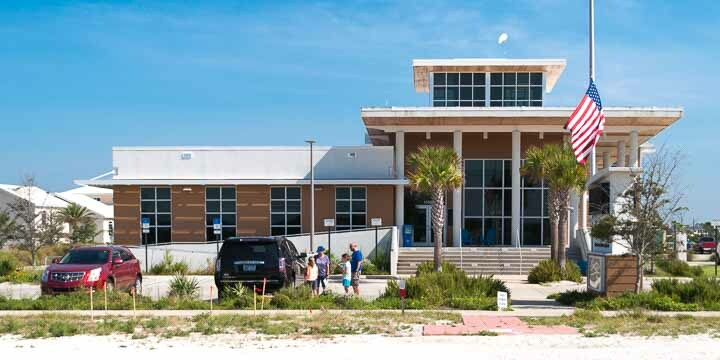 The Perdido Key Visitors Center is the best location to find information and literature about beaches, rules and regulations, activities, rentals and restaurants. They also have maps that show you where all of these things can be found. Looking to the west on the beach near several beach front condos. 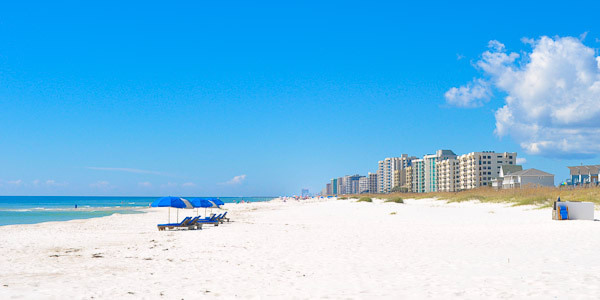 The beach at Perdido Key is never crowded allowing you unwind and enjoy the natural sights and sounds. 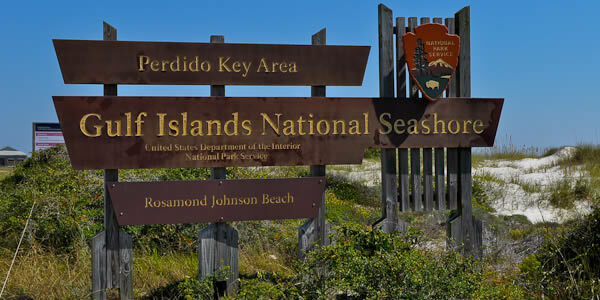 Johnson Beach located at Gulf Islands National Seashore on Perdido Key. This beach is named in honor of the first casualty of the Korean War. 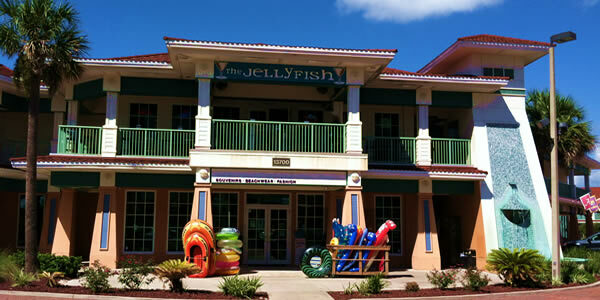 The Jellyfish is a fun store that specializes in beach merchandise. Conveniently located less than a half mile after the crossing the bridge onto Perdido Key. 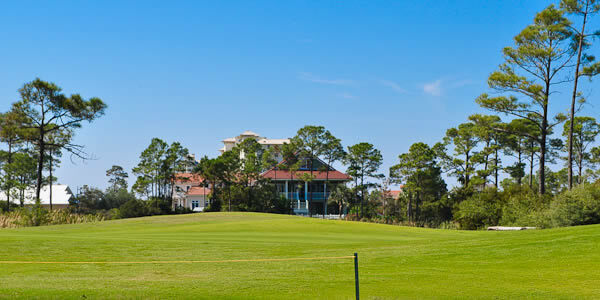 Located across the street from the Indigo and Perdido Sun Condominiums.